Fall hiking is in full swing in Western Massachusetts and the New England National Scenic Trail (NET) serves up a bounty of hikes perfect for soaking in the colorful views. 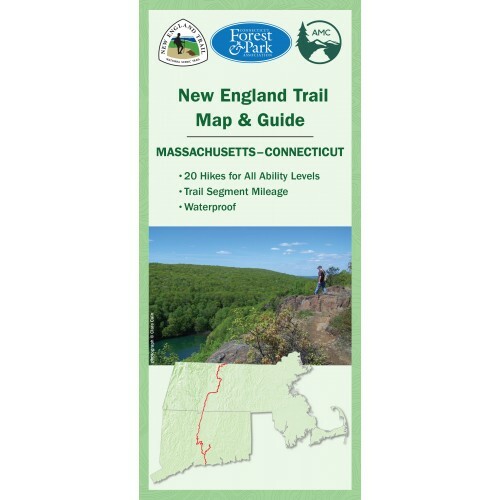 From easy to strenuous, we’ve hand-picked six of the best hikes along the NET in Massachusetts from the recently published New England Trail Map & Guide, the first comprehensive map for one of America’s newest National Scenic Trails - (now available in AMC's online store with a 20% member discount). We hope you enjoy these picks – and happy hiking! The trail crosses an interesting series of traprock ridges with several scenic overlooks, including a fine view of Snake Pond, with an option to return along the shores of the McLean Reservoir. In spring, look for wildflowers such as columbine, fringed polygala, and violets. A challenging but rewarding hike on a spectacular section of the New England Trail! The trail leads to a unique basalt ridge formed by ancient volcanoes with outstanding views of the Connecticut River Valley and Berkshire foothills. The outlooks offer excellent foliage viewing in October, plus hawk watching during migrations most typically in September. This moderately difficult hike traverses the rugged Millers River Valley. There is a high seasonal (springtime) waterfall in 15 minutes, and at roughly 1 hour, a side loop leads to a rock cave and ledges with a great panorama view. The trail leads to excellent views from the 1,106-foot summit of Mt. Norwottock, the highest peak of the Holyoke Range, in roughly 50 minutes, and the Horse Caves, which were reputedly used as a hideout during Shays’ Rebellion, in another 20 minutes. 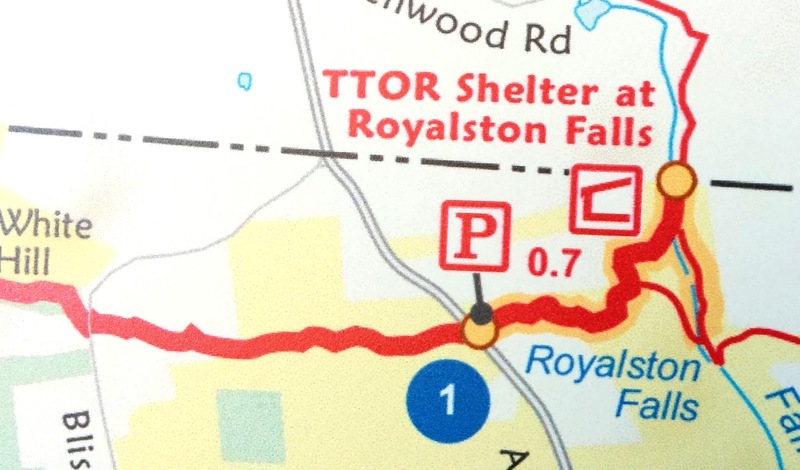 The trail passes a shelter in about 45 minutes, then reaches the 1,614-foot summit of Mt. Grace, the highest point on the New England Trail, in about 1 hour and 45 minutes. This is a good mountain trail for families. 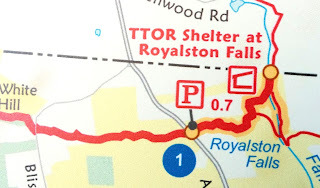 The trail reaches Falls Brook and a camping shelter in about 15 minutes, and dramatic views of Royalston Falls and a high rocky gorge in about 40 minutes. And excellent hike for families, geologists, and long-distance hikers! “Easy” = The terrain is relatively level and the hike is less than 3.0 miles, or the hike is somewhat steep, but very short. “Moderate” = The terrain may be rocky or there is a steeper grade in some sections. The hike may be 1.5 to 5.2 miles long. “Strenuous” = The terrain may be difficult, especially for children, and the hike may be 4.0 to 8.6 miles long. For more details about these hikes, printed on a durable, waterproof map of the 215-mile NET in Massachusetts and Connecticut, grab your copy of the New England Trail Map & Guide.